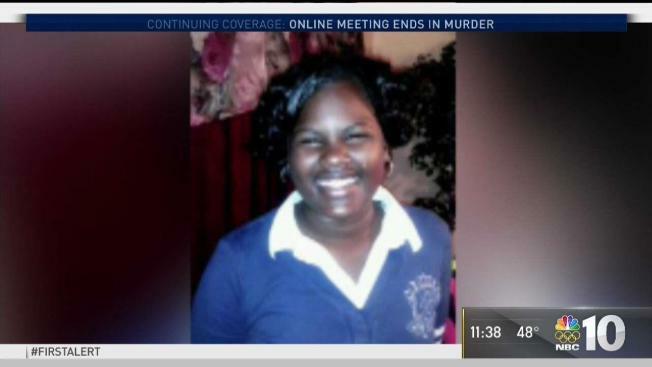 Learning more about the teen from Delaware found stabbed and burned in an alley in Philadelphia. NBC10s Brandon Hudson reports. A 15-year-old Delaware girl was stabbed more than 50 times after travelling to Philadelphia to visit a man she had only met on social media, Philadelphia police said on Thursday. And then the killer set Sabriya Mclean's body on fire to try to cover up the crime, police said. Thursday's press conference was the first time police had revealed information about the victim. Previously, they had charged Cole Swaringer-Herring, 23, with murder, arson, abuse of corpse and related charges. Sabriya was found stabbed to death and burned under a pile of leaves at Swaringer-Herring's apartment complex, near the 200 block of South 49th Street close to the Cedar Park section of West Philadelphia. Mclean had been reported missing by her family on Monday. Swaringer-Herring confessed to his parents, who took him to a nearby police station. Cole Swaringer-Herring is accused of killing a woman and burning her body. Swaringer-Herring remained jailed Thursday without bail.